Pioneer 222 Sportfish Final Close-Out. Must Clear Out! » Pioneer 222 Sportfish Final Close-Out. Must Clear Out! YOU WILL NOT FIND A BETTER DEAL!!! The 222 Sportfish with its tournament inspired 32 gallon live well, 96 gallon fuel capacity, twin insulated fish boxes, and fully bolstered cockpit with tow rails, is one magnificent fishing machine! The clean, open deck configuration allows for flexibility and roominess that many boats in its class simply don’t deliver. We implore you to check out these perfect vessels before deciding on your new past time. This line of boats will blow you out of the water! Pioneer believes in building a strong boat for not only comfort but for longevity of the vessel. Having a reverse shoebox design and one of the best builds for this design is the start. Pioneer puts the deck nestled just inside the hull while still in the molds with putty joint for a tight unwavering fit! The clean, open deck configuration allows for flexibility and roominess that many boats in its class simply don’t deliver. The all-new 222 Sportfish with its tournament inspired 32-gallon live well, 96-gallon fuel capacity, twin insulated fish boxes, and fully bolstered cockpit with tow rails, is one magnificent fishing machine! The Pioneer 222 Sportfish is a serious fishing machine of uncompromising quality. The fiberglass work is pristine. Joints fit tightly. The undersides of hatches sport gelcoat. The bilge and console interiors feature full liners. Its all-composite, hand-laid fiberglass construction with foam-injected flotation impressed me just as much. Ideal for blue water, bays or even big lakes, this 22-footer won’t drain your wallet. Stow Away Marine & More Inc. Call or text Terry @ 850-545-9164. We do a full inspection and service of all boats in our inventory so that you are satisfied and can be assured you are purchasing a quality boat for a great price. Contact us. Let’s see what we can do for you. Reasonable Trades and Offers Considered. Stow Away Marine & More, Inc.
We are located on the corner of Spring Creek Hwy and Hwy 98. 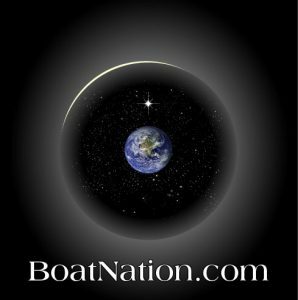 Website: Please visit our site for more information and to see a full list of boats, motors, parts and accesories.